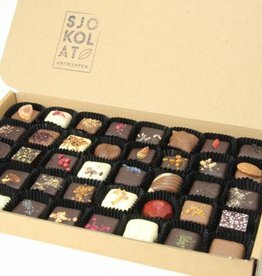 SJOKOLAT's chocolate truffles are handmade from only the most flavourful and the highest quality ingredients, without any added preservatives. 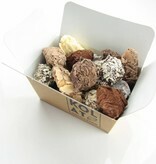 Classic, fruity or exotic. 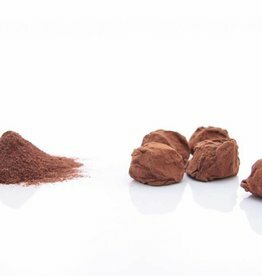 With a dash of liquor or a hint of spices. 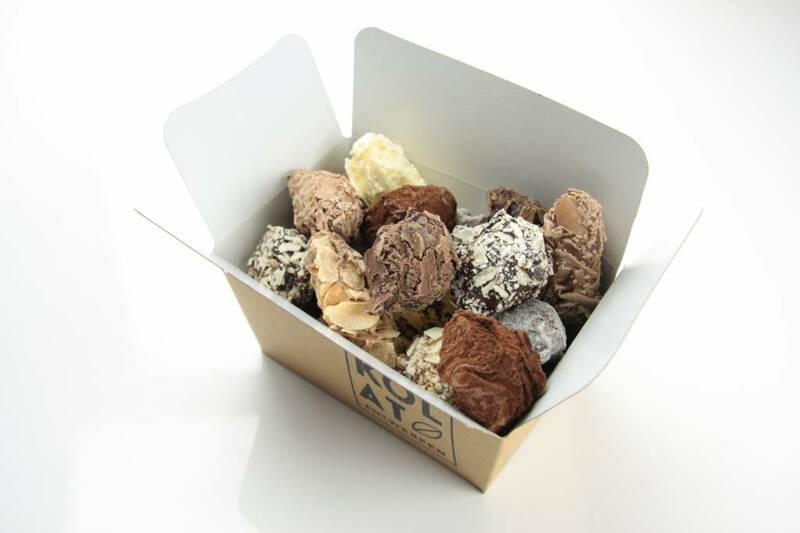 Because of the large variety of flavours and the silky smooth interior every truffle will give you a little moment of happiness. 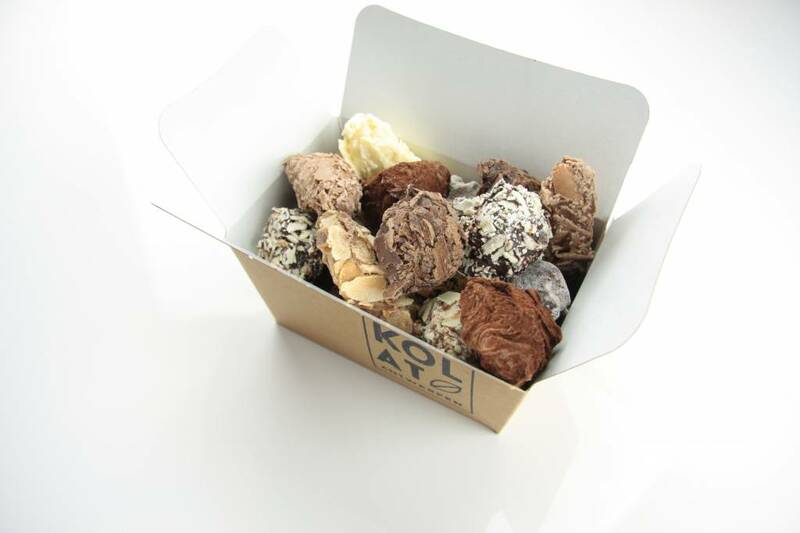 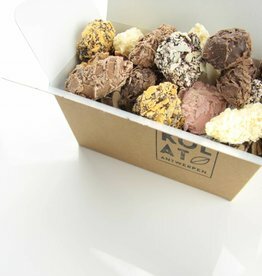 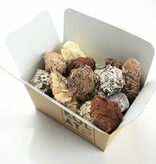 Every box contains a balanced assortment of 855 grams of truffles, compiled from our daily fresh stock. 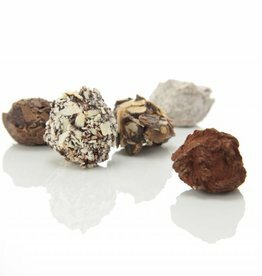 Just a few truffles from our range: milk chocolate, dark chocolate, white chocolate, cocoa, roasted almonds, cappucino, champagne, cinnamon, whisky, strawberry, orange, rum, mango-coconut, ginger, sea salt, caramel, Elixir d'Anvers, butter biscuits, raspberry, amaretto, blueberry, and more. 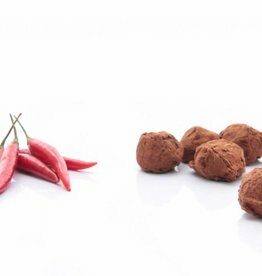 The dynamic duo of chocolate and chili is guaranteed to be a true sensation for the tastebuds.